the functions of the parietal lobe of the brain (e.g., arithmetic, spatial reasoning, visual awareness of objects in space and multisensory integration). functions of the limbic system as it relates to social anxiety. 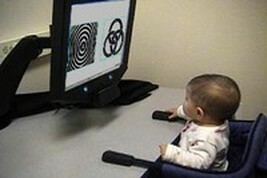 ​Dysfunction in gesture processing and production and associations with social skills in autism spectrum development. Heterogeneity in sensory processing features in autism spectrum and typical development. investigations of a neurodegenerative disease associated with the fragile X premutation (FXTAS). How underlying brain activity and behavior supports the development of skills (i.e., attention, visual perception, face processing, and emotion regulation) necessary for adaptive social-emotional wellbeing.